BUYING a house will most likely be the biggest single investment in a person's life. But for first-time buyers, going about purchasing a home can be a procedural nightmare, especially without the proper planning or guidance. The first thing to do is to determine what exactly you are looking for. “Visit a few property showrooms and also attend a few launched to see what's available in the market. If you're a first-time buyer, you're probably looking for something below half-a-million ringgit,” says VPC Alliance (Malaysia) Sdn Bhd director James Wong. Also, determine if you're looking for landed property or an apartment. “You need to weigh your options. An apartments comes with additional running costs, such as service charges - it's part of a communal thing,” Wong points out. 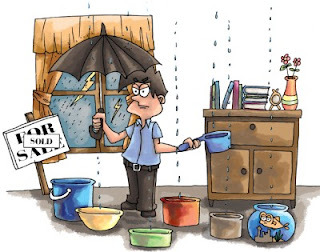 “If you stay on landed property, the advantage is that there is no service charge. Furthermore, you may also have access to a garden of your own,” he adds. Malaysian Institute of Estate Agents president Nixon Paul concurs that there are certain advantages to owning landed property. “Landed property would make a better buy as you have control over your own house. With an apartment, the biggest consideration is the management running it. If there is no effective management, it could really go downhill,” he says. With land getting increasingly scarce, more so within the Klang Valley area, affordability can be an issue. “With land getting more expensive, the chances of getting landed property below RM500,000 close to the city is slim,” says Wong. He adds that a person's distance from work should be factor to consider when buying property. “You need to determine what is the commuting time to and from work that you can tolerate everyday,” he says. Nixon however believes that it's still possible to find property below RM500,000 within the Klang Valley. “They're available but you just need to look harder. You can find apartments within this price range in places like Kepong, Selayang and Puchong. You just have to go out further (from the city),” he says. A viable option, says Wong, is to purchase property that will be located “not very far” from the proposed stations that will be built for the light rail transit (LRT) Ampang and Kelana Jaya line-extension and Mass Rapid Transit (MRT) projects. He adds that property along the proposed lines won't necessarily be expensive. Wong says a mistake in the past was that there weren't sufficient parking facilities for the LRT lines. “But I was informed that the future lines will also have parking facilities,” says Wong. Another way for new housebuyers to around the issue of affordability is to try and apply for the My First Home Scheme. Launched in March last year, the scheme allows young working adults obtain 100% financing from banking institutions to purchase their first home valued at a maximum of RM220,000 (for single applicants) or a maximum of RM400,000 (for joint applicants of husband and wife with household income below RM6,000 per month cumulatively). Applications are made to participating banking institutions and upon approval, Cagamas - a national mortgage corporation - would provide a guarantee for the first 10% of the loan. “It is a good move by the Government to promote home ownership,” says Wong. However, he notes that properties launched under the scheme are not located within the city. “There were launches in Negri Sembilan and the Puchong area. However, if your workplace is within 5km of these homes, then why not,” he adds. If the property you're buying is physically present (such as secondary property), it's best to inspect it to ensure there are no shortcomings or flaws that will incur you additional unwanted costs. “A house might look beautiful in pictures or from the outside, but you never know for sure until you take a closer look at it yourself,” says property investor Kamarul Ariff. “It's best to inspect the house inside-out, floor to ceiling. Check to see if the walls and fixtures are in good condition, or if the house is infected with white ants, for instance. Bring along a friend who's a better judge of things like this, as it'll save you a lot of unnecessary cost in the future. A major factor in the home-buying process is the issue of financing. Of course, one needs to have the financial resources first before going house-hunting. Noteworthy is that effective January 1, Bank Negara has implemented its responsible lending guidelines, whereby loans are now approved based on net income compared with gross income previously. The new guidelines are intended to help manage the household debt in Malaysia to reasonable levels. “Currently, banks are tightening on housing loans and potential property buyers may not be able to secure up to 90% financing. Instead, they may only get between 70% and 80%. They now need to have as much as 20% cash or equity, unless its a gift or a loan from your parents,” says Wong. But Nixon believes that securing a loan is not a problem, especially for young property buyers inspite of the new loan rules. “From what we've been hearing, it's not the younger generation that's been having problems getting loans, but instead, the older generation. “This is because the younger generation don't usually have debts - at most it might be a car loan. We find that it's the older generation, those with several ongoing loans or debt that have problems getting their loans approved under the new lending guidelines,” he says. Bank officer Razlan Hashim says potential property buyers should ensure that their monthly loan payment will not be a burden on their spending. “You need to ensure that the home you're buying is within your means,” he says. 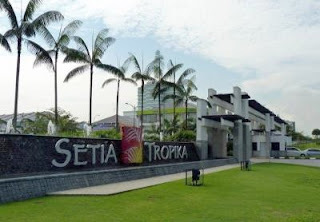 The Setia Tropika development in Kempas, Johor Baru over 299ha. DEVELOPERS in Iskandar Malaysia are still optimistic about the property market this year as it is expected to remain bullish based on the performance in the first quarter of 2012. 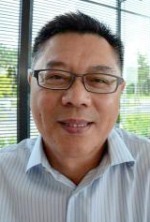 SP Setia Bhd executive vice-president (property division) Datuk Chang Khim Wah says demand for its properties in south Johor is still strong in the first three months. Chang says the property market in Johor will be getting more competitive. He points to the take-up rate for the company's properties which has been good since day one, and with Iskandar Malaysia progressing well, it was another pull factor for Johor properties. Chang says Johor is now the company's main revenue earner, contributing about RM1bil in sales for three consecutive years 2009, 2010 and 2011 and SP Setia is confident of Johor maintaining its lead this year. “Many have given their thumbs-up to Iskandar Malaysia as they can see the landscape of South Johor changing in the last five years,” he tells StarBizWeek. Chang says Iskandar Malaysia will continue to push up demand for properties in Johor and will help to mitigate the slow growth in Johor's property market this year if there was one. He feels the company is fortunate as all of its projects in south Johor are strategically located within the flagship development zones of Iskandar Malaysia. Its ongoing projects in south Johor are Bukit Indah with only 5% land left for development, Setia Eco Gardens and Setia Business Park (383.64ha and 50% sill available for future development). Others are a new development Setia Business Park II (107.24ha), Setia Tropika (299.46ha and 40%), Setia Indah (359.36ha and 10%) and Setia Eco Cascadia (110.07ha and 70%). “Confidence in Johor is now at an all-time high especially with the progress made by Iskandar Malaysia. Many were quite sceptical in the early days whether it would take off successfully,” says Chang. He says road-upgrading and the opening of new highways such as the New Coastal Highway, Eastern Dispersal Link Expressway and Southern Link next year has improved connectivity and accessibility within Iskandar Malaysia. Chang says foreign investors are gradually turning to Iskandar Malaysia and Johor Baru's close proximity with Singapore has attracted buyers from the republic to look for properties in Iskandar Malaysia. “With or without Iskandar Malaysia, Singaporeans are always attracted to buying properties in Johor Baru and Iskandar Malaysia helps to make south Johor more attractive to them now,'' he said. Chang says that going forward, the property market in Johor Baru will be getting more competitive as more and more players from outside Johor are coming here. He says while there is still large tracts of land available in south Johor for development unlike in Kuala Lumpur or Penang. Getting hold of the land is not as easy as 15 years ago as land owners are now becoming more demanding and sometimes asking prices that are too “exorbitant”. Soo says Hua Yang is using a different strategy. Hua Yang Bhd Johor branch manager Soo Kim Hiang says that while Iskandar Malaysia is the main factor that has pushed demand for high-end properties, the company is using a different strategy. “We are focusing on the middle-income group and first-time house buyers who are neither qualified to buy low-cost houses or high-end properties,” he says. Soo says the company is banking on the affordability of its residential properties to attract prospective buyers as its strong selling point. He says although the company's township projects are strategically located within Iskandar Malaysia, its pricing is much lower compared with other ongoing projects in the economic growth corridor. “On average our residential pro-perties here are priced between RM250,000 and RM400,000,” adds Soo. The project is Taman Pulai Indah a mixed development of 4,942 residential and commercial units on 193.03ha with a gross development value (GDV) of RM818mil. About 134.ha has been developed since its first project in Johor was launch in 2000 and the company will take three to five years to fully develop it. Its second township project, Taman Pulai Hijauan, on 56.65ha was recently launched and comprises 1,400 double-storey link, cluster and semi-detached houses and commercial units. Both projects are located along the Skudai-Pontian Highway in the Senai-Kulai one of the five flagship development zones in Iskandar Malaysia. Other flagship development zones in the 2,217 sq km Iskandar Malaysia are the JB City Centre, Nusajaya, Eastern Gate Development and Western Gate Development. “Taman Pulai Hijauan will keep us busy for the next five to seven years with a GDV of RM380mil,” says Soo. He says the company's double-storey link terrace houses Alder Residences at Taman Pulai Hijauan was priced from RM250,000 onwards. The four-bedroom and three-bedroom house with a built up of 1,834 sq ft within a gated and guarded precinct is priced from RM250,000 onwards. Soo says a similar property with the same floor area in other parts of Iskandar Malaysia, especially in Nusajaya, will be priced from RM450,000 onwards for an intermediate lot. He concurs with Chang that the rest of the year will be challenging for most property developers in Johor Baru but is optimistic that the market will be good. “The only problem is the labour cost which has gone up between 40% and 50%, and developers have no choice but to pass the cost to buyers,” says Soo. Iskandar Regional Development Authority (Irda) chief executive officer Ismail Ibrahim says there should not be any worries on property overhang in Iskandar Malaysia. It was recently reported that Iskandar Malaysia was expected to face a property glut in the next few years as many local and foreign developers would be launching their projects here. “Property has never been identified to be the economic sectors we are promoting in Iskandar Malaysia as we believe that property development and demand will come naturally as investors start flocking here,” he says. Ismail says if Irda has been promoting the property sector since day one of Iskandar Malaysia, the issue of property overhang is likely to happen. In a month or so, a relatively new developer will be officially launching his medium-rise serviced apartment project in Petaling Jaya. This will be his second project, his first being a commercial block in Jalan Ampang, Kuala Lumpur. This developer is building a home for multi-generational families as he and his partner believe that being Asians, there is always that desire for parents to live near or next door to their grown-up children and grandchildren. In many ways, he is right. The relationship dynamics between parents and children, and between grandparents and grandchildren, are different. There is something about the presence of grandchildren that lifts the spirits of grandparents. The demise of the extended families where three generations stay together under one roof and keep an eye on each other has led to many social family woes, not to mention the need for domestic helpers. As more Malaysians opt for high-rise living some for security reasons, others for the facilities it offers the issue of how the elderly cope with condominium living has never really been examined. But it is a very pertinent subject because high-rise living is here to stay, and will become the norm as the country grows and progresses. This is particularly obvious in the Klang Valley. About 10 years ago, a couple of reputable developers commented that to build a high-rise project with the elderly in mind would pose a huge challenge. They said that cost, materials, design and layout would have to be carefully thought of and scrutinised. Door frames would have to be wider, steps would have to be done away with to be replaced with ramps. The fittings and shower doors would have to accommodate and suit the elderly. Tiles would have to be non-slip. The list was endless. If developers were to take this stand, what will happen to all the people who live in condominiums today? When a developer considers a project, the customers' profile is usually that of a young family. Because of this, their focus towards aesthetics and the look and feel of the place become their all-important criteria, with form taking precedence over function. The first issue is the physical aspects of the place. The second is the cost of maintenance. Even if can afford the monthly maintenance, the physical aspects of the unit may be a deterrent. Recently, a friend in her 60s left her studio apartment to move into a two-room unit. She wanted the extra space as well as the basement car park that came with the new unit which her previous unit did not have. Very often, when shopping for a home, there is a tendency to just consider the location and affordability. While these are over-riding considerations, if affordability is not an issue, it may be prudent to consider a project that will grow with you. That means a project that is flexible enough to cater to your needs through the ages. That may come across as a tall order. But it is food for thought. In other words, it cannot be just a neatly arranged pile of bricks. There has to be some differentiating factors. Which takes us to the sort of high-rise residentials that are being launched nowadays. Many of today's projects do not have any differentiating factors. That means an over-riding salient feature that sets it apart from the rest. In the KLCC vicinity, for example, there is only one condominium which sits on a 50-acre park. Although the park is not part of the grounds, residents are able to access the park without having to drive. The same applies to another project in Sentul West, which is adjacent to a golf course-turned-park. When buying into a high-rise, consider the factors that work for you. It may be an area that is close to your network of friends and family. Or it can be an affordability issue. Particularly if you are buying to stay, it may be wise to consider what works for you, rather than just opting for a place because it is available. If low-rise living within a three-minute drive to the KLCC is an important factor, there is something along Jalan Kia Peng. If living near a park and walking your dog is a criteria, then there are quite a number of choices in the Kepong vicinity. If living near some of Petaling Jaya's most popular and upscale amenities is important for you, there are quite a number of condominiums in Bandar Utama and Mutiara Damansara. Whatever these over-riding factors may be, they are personal to each of us. Having said all that, there is one high-rise living concept that has been overlooked by both home buyers and most developers today a project that will serve as a sanctuary for all seasons, and one that grows together with you. Assistant news editor Thean Lee Cheng says most of us will have to grow old in our pigeon-hole which makes it all the more important for developers to build with the elderly in mind. Neoh says all the elements of the project are crafted to enhance the lives of residents. TRINITY Group Sdn Bhd wants to promote its brand of lifestyle living at an affordable cost to a broader market in the Klang Valley, Penang and Johor. Managing director Datuk Neoh Soo Keat says the Klang Vally-based developer's aim is to build property projects that offer lavish high-rise living at affordable prices. Currently, Trinity's projects are all located in the Klang Valley and Neoh is on the lookout for strategic land in the growth markets of Penang and Johor. At its Z Residence project in Bukit Jalil, comprising four blocks of 26 and 27 storeys of 1,136 service residences, the units were sold at average prices of RM340 to RM380 per sq ft. The RM500mil project has been fully taken up since its launch last April. Neoh says despite the affordable pricing, residents can look forward to a combination of recreational and lifestyle facilities that include a floating garden surrounded by water courtyards, a 180-ft infinity pool, and panoramic sky lounges perched at 430 ft above ground level atop every condominium tower. Up to 50% of the development has been reserved for green lungs and relaxation corners. “All the elements of the Z Residence's design are crafted to enhance and enrich the lives of residents and the greater community it serves. “The development aims to introduce a wholesome urban lifestyle to the medium-end housing market. We are dedicated to enriching the lives of our customers as our customers are at the centre of everything we do,” Neoh shares with StarBizWeek. To achieve the highest quality standard for its project, he says Trinity has recently appointed Putra Perdana Construction Sdn Bhd (PPC), a unit of Putrajaya Perdana Bhd, as the main contractor for Z Residence. Neoh says PPC is the first construction company in the country to be awarded with the 5-S Certification by SIirim-HK5SA, adding that PPC's competency in construction and high standards of quality and efficiency are in line with Trinity's commitment to deliver up-to-date and high-value products. The company hopes to record a quantum jump in sales this year to RM640mil against RM230mil achieved in 2011. Trinity has undeveloped landbank of 23.36 acres and another 12.5 acres that are currently under construction in the Klang Valley. Its landbank include five acres in Serdang worth a potential gross development value (GDV) of RM300mil; 8.65 acres in Bukit Antarabangsa (RM700mil); three acres in Melawati (RM180mil); three acres in USJ19 (The Latitute@USJ19 worth RM200mil); and 3.71 acres in Seri Kembangan. The Seri Kembangan land will be developed into The Zeva comprising a mixed development of 446 service apartments, 320 studio units and 12 shop offices. The project, with GDV of RM250mil, will be launched on May 18 for completion in 2015. The studio units with built-up of 455 sq ft to 638 sq ft are priced from RM200,000; serviced suites of 881 sq ft to 1,205 sq ft are from RM350,000; and shop offices from 5,697 sq ft to 12,221 sq ft are from RM2.8mil. In keeping with Trinity's trademark of lifestyle living, all the residential blocks will be naturally ventilated with generous corridor and a sky garden at each alternate level. Neoh says Zeva is set to bring a fresh and dynamic change to the skyline of the gradually aging Seri Kembangan township. “The project will provide a refreshing break from the mundane and monotonous architectural landscape in this established and matured township. “Zeva's modern building facade with strong linear lines will complement the development of this place without taking away the charm that this town is associated with. The street mall on the ground floor of the development is envisioned to be vibrant and lively with a good mix of F&B outlets, offices and retail shops that will offer a refreshing lift to this area,” he adds. PETALING JAYA: UEM Land Holdings Bhd’s share price has recently experienced a sudden drop of more than 10%, raising questions among analysts and investors as to what is in the offing for the company. The property developer’s share price declined 24 sen to a low of RM1.98 on Monday and had been languishing at this level for the rest of the week. It perked one sen to close at RM2 yesterday with 2.15 million shares changing hands. A local bank-backed research analyst said the company was still fundamentally strong, and noted that other property developers such as Mah Sing Group Bhd and Glomac Bhd had also suffered similar selldowns recently. “According to data provided by the company, UEM Land is still enjoying robust sales, with customers snapping up the company’s products,” he said. He said the sell-down might also be caused by uncertainties surrounding property market policies, where the Government is said to be considering to raise the minimum floor prices of houses that foreigners are allowed to buy to RM1mil. The sudden drop in price is not fundamentally driven as uncertainties are abound with investors preferring to stay on the sidelines with the looming general election just around the corner. “It is a high beta stock and it might just be a possibility that some funds are selling out to lock in profit,” he said. Hong Leong Investment Bank Research said in a report that UEM Land would have the largest impact if the Government raised the minimum floor price for foreigner as its Puteri Harbour project has about 40% foreign buyers. “The high-end water front properties there are already selling for far more than RM1mil,” it said. KUALA LUMPUR: Property developers at the recent Mapex Penang 2012 property exposition clinched a record RM90 million in sales. Themed "The Most Lau Juak Property Show", the property expo showcased the newest property developments in the market across Malaysia. "The record expo sales figures are testimony that the appetite for properties remained strong and even far exceed expectations in some cases," Real Estate And Housing Developers' Association (Rehda)-Penang Branch said in a statement. Mapex Penang was organised by iProperty.com Malaysia on behalf of Rehda Penang. According to the association, IJM's collection of 'The Light' properties were popular among visitors over the three-day expo, with 12 units sold for over RM15 million. "Magna Putih's Mansion One development was snapped up totaling over RM11 million, with 19 units sold. Land & General also enjoyed brisk sales with 19 units worth over RM11 million sold," it said. Visitors to Mapex Penang also had a chance to listen to leading property experts talking about sound property investment decisions during the seminar sessions. Popular among visitors was a presentation by Richard Oon from ConsulNet Tax Services, on tax implications of property transactions. Another crowd pleasure was a session on benefits of buying property from developers by property investment guru, Milan Doshi. Those interested in foreign investment were given tips and tricks on property investment in Australia by Ameer Abas from OZ Property Group. Attractive prizes worth over RM70,000 from Deep Living, Signature Kitchen, KaraBest and Korea Wallpaper were awaiting visitors at the exhibition. Rehda Penang chairman Datuk Jerry Chan Fook Sing said the association has achieved its aim in helping home buyers find their dream homes during the expo. "I am proud that, together with our partnership with iProperty.com Malaysia, we have once again contributed to the growth of the industry as we saw participating property developers enjoying brisk sales, while connecting with property hunters in Penang," Rehda Penang chairman Datuk Jerry Chan Fook Sing said. Malaysian Association of Hotels says for this year, the average occupancy rate will increase to 67 per cent with an average room rate of RM170. KUALA LUMPUR: The opening of several amusement parks in the last quarter of 2012 is expected to augur well for the hotel operators in the southern state of Johor. Malaysian Association of Hotels’ chairman Tengku Ahmad Faizal said for this year, the average occupancy rate will increase to 67 per cent with an average room rate (ARR) of RM170. Last year, based on a total room inventory of 15,723, the state filled 54 per cent of its available rooms and garnered an ARR of RM164. Tengku Ahmad, in a recent interview with Business Times, said the average occupancy and rates were for the three- to five-star class hotels. “We saw a drop in occupancy in the first 11 months of 2010 but in December, things picked up with the opening of the Johor Premium Outlets,” he said. 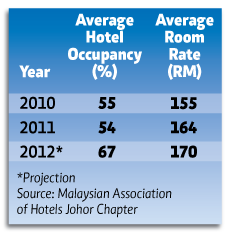 In December 2011, occupancy hit 81 per cent from 76 per cent in 2010 while rates rose to RM161 from RM146 in 2010. Accordingly, Tengku Ahmad feels that the opening of Legoland on September 15 2012 followed by Hello Kitty Town, Little Big Club and LAT themed village at Puteri Harbour will help lift occupancy and rates in Johor. The hotels include KSL Resort (868), Traders Hotel (280), Renaissance Hotel (300), Granada Hotel (198) and Austin Century Hotel (322). 25,000 number of hotel rooms in the three- to five-star class. Occupancy at hotels in Johor has predominantly been a split of 65 per cent and 35 per cent between business and leisure. The opening of JPO, Legoland and other parks are expected to see the business-to-leisure guests split equally.